The findings have led to speculation that Facebook could release its long-awaited augmented reality glasses sometime soon – although we aren’t holding our breath for a 2019 release. Or even a release this side of 2025 for that matter. 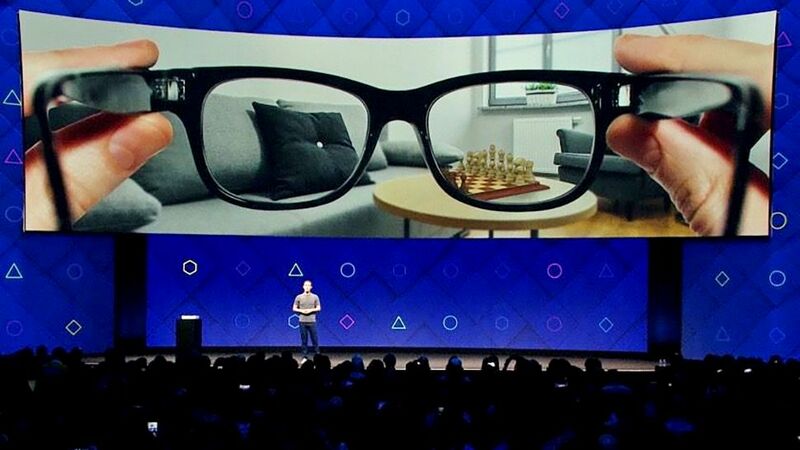 We’ve known that Facebook is working on augmented reality glasses for a while now, since the company’s announcement at the F8 2017 developer conference. Since then, we’ve not heard much more about the AR glasses, save for Mark Zuckerburg telling Recode in April 2017 that “we do not have the science or technology today to build the AR glasses we were wanting”, but that the technology could feasibly exist in “five years, or seven years”. While the Business Insider report cites a source who says the glasses could be ready by 2022, a Facebook spokesperson has denied this, saying that the social media company is working on a number of AR products that may never even have official launches. According to a 2017 patent, the AR glasses could use a ‘waveguide display' to combine computer graphics with the real world – essentially an advanced method of giving the illusion of depth on specs right in front of your face. Based on the patent images, the AR glasses could look just like a regular pair of glasses, which means there will be a lot of complex, miniaturized technology to get right before they can be released. Whether or not we’ll see the long-awaited AR glasses before 2025 is unknown, but it at least looks like Facebook is looking to throw money and resources at its burgeoning AR department.